Welcome to the third and final instalment in our series of blogs on how to choose the right shooting jacket for you. Following our articles on choosing by price and fabric, this time we are looking at function. The jacket you choose really needs to be suited to the type of shooting you are doing, and here we try and break down a few of the options for you. 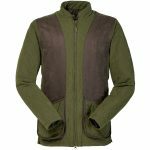 If you’re shooting pheasant, partridge, grouse or any other type of driven game; tradition tends to dictate that you will want a jacket that is smart and also has the technical performance properties you need. This type of shooting often requires swinging the gun high above the shoulders and twisting to make the shot, so freedom of movement across the shoulders is vital. With a smarter look in mind, tweed is worth considering, but there are also plenty of warm, smart and very practical green jackets on the market. Brands such as Musto, Barbour, and Schoffel are great options for this type of shooting. 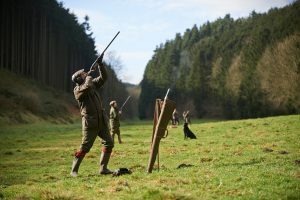 Depending on personal preference a medium-weight jacket such as the Schoffel Ptarmigan Superlight, or Musto Highland Light are great all-round jackets for this type of shooting. If you’re a beater or picker-up you’ll want a good solid jacket that will take rough treatment, brushing through the undergrowth and that you’re happy to go out and get stuck in when you’re wearing it. Because you’re likely to be more active than a standing gun, you won’t want the jacket to be too heavy, and it will certainly need to be breathable. 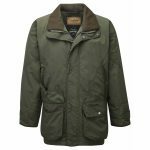 The Musto Keepers Westmoor Jacket or Seeland Woodcock Jacket are both made from good tough outer fabrics that are suited to this type of shooting. You’ll also want to consider extra little features for this type of shooting; such as pockets for dog accessories, whistles, radios and any other kit you take out in the field with you. For pigeon and rough shooting, you’ll probably want a jacket with a similar set of features to those used for beating or picking up. Tough, durable and not too heavy are key features. You may also want to consider an element of camouflage if you’re in a hide waiting for pigeons to come over. Seeland and Deerhunter offer a number of good jackets in this area. Depending on the type of stalking you are doing you may need very different kinds of jacket. You need freedom of movement, but not in the same ways as for driven game, because most of your shots are at ground level. If you’re covering a lot of ground then breathability and a lightweight are vital, but if you’re sitting in a high seat for hours waiting for a shot then insulation is imperative. This category of jacket is undoubtedly dominated by the Harkila Pro Hunter Jacket – and matching trousers. 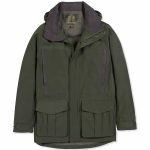 This jacket is at the very top end, with a GORE-TEX® lining and a unique 5-year warranty. It’s expensive but anyone who buys one appreciates why is it worth the money. This type of shooting is completely different to all the others and therefore needs a totally different type of jacket. Freedom of movement is everything here, so the lightest fabrics, with the best fit are essential so that nothing inhibits your shooting. 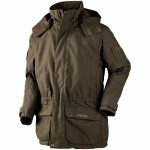 Musto and Seeland both have great options in this category, that are waterproof, breathable and let you swing the gun without restriction. So there we have it! You’re now well on your way to choosing your perfect shooting jacket. 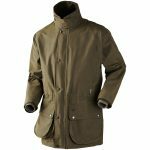 Alan Paine, barbour, barbour clothing, clothing, country clothes, Country Clothing, hereford, Herefordshire, Le Chameau, Philip Morris, Philip Morris & Son, Philip Morris And Son, Sch?ffel, shooting, Shooting Accessories, Shooting Clothing, Shooting Jacket. Bookmark.